Peanut Butter and Jelly Goodness! Lots of things happening this week, and tons of Sandwich news to update you on! EEEEE! My author copies arrived on Wednesday! It’s SO INCREDIBLY surreal to have my own books in my own hands with my own name on it and my own picture on it. How WEIRD! Yet, at the same time, I’m completely in awe of God and how far he’s brought me. I wouldn’t have been even a teensy bit close to this point if not for Him moving some huge mighty mountains. Thank you Thank you JESUS!!!! 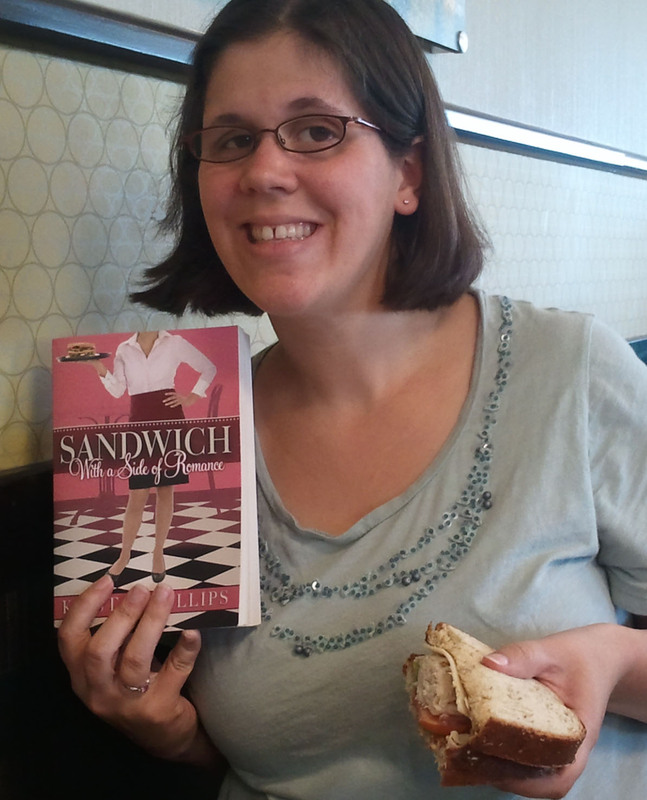 Getting a sandwich for lunch and having my picture taken with it and a book sounded like a good idea at the time…. Decided lately that I probably should have taken the time to do things like, uh, put make up on… But you know what? This is totally me… no time for make up or more than a quick brush through my hair. So at least I’m honest! Pre-orders are being SHIPPED. And I’ve already heard from a few people that have received their book already! FUN! Hoping this next week they’ll start showing up in stores. 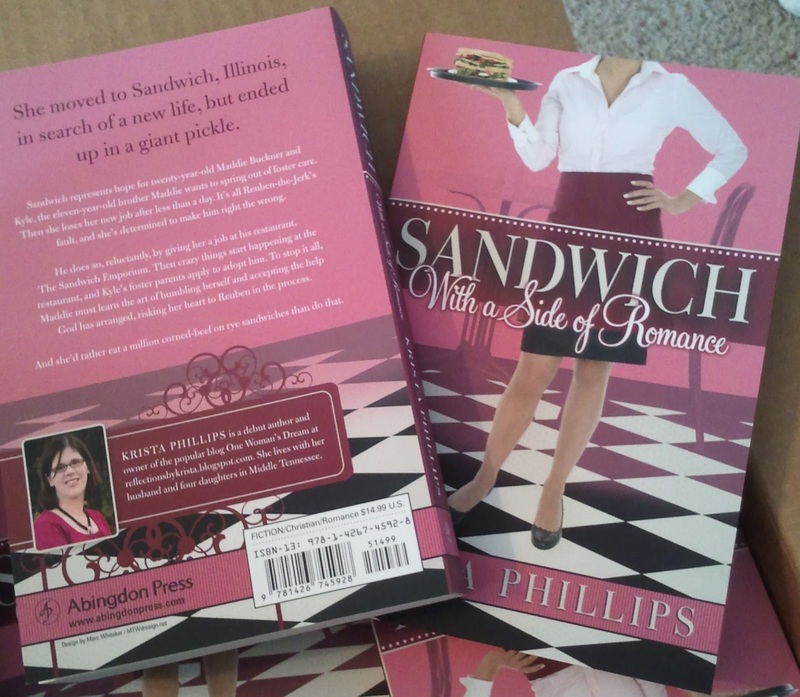 *fingers crossed* If you happen in a bookstore… and look in the Christian Fiction section… and happen to see Sandwich, with a Side of Romance…. LET ME KNOW!!! You can even snap a picture, email it to me, and I’ll post it in a blog! We’ll call it…. Around the World in…. Sandwiches! And yes, I’m most likely going to be stalking the bookstores around here keeping an eye on it, and you can bet I’ll be posting pictures when I find them, too!!! If you haven’t heard yet, I’m having a FACEBOOK party with a fellow debut author friend of mine! I posted details on my blog on Friday. GO CHECK IT OUT! You can register to win a KINDLE and the day of the party, we are giving away over $500 worth of prizes! 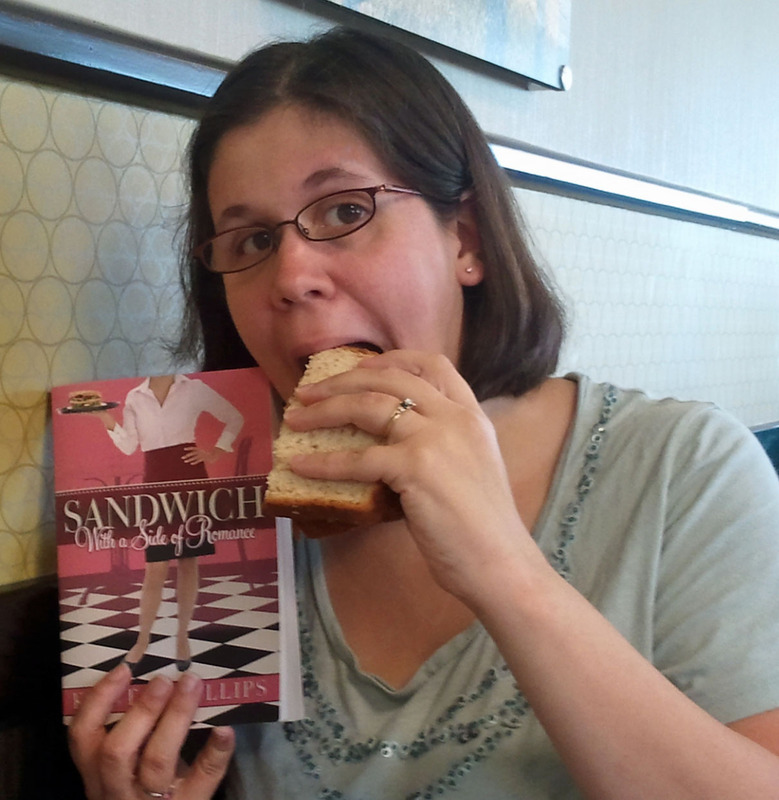 Over the next month or two, I’ll be making my rounds on different blogs to promote Sandwich, including interviews and book giveaways at many of them! If you have time, I’d love for you to stop by! The eBook copy will be available on Saturday, 9/1! So if you’re an eReader fan…. that’s when you can download it! So mark your calendars! For the blog question of the day, I thought I’d pull from one of the discussion questions at the back of the book. Question 1: Maddie had some… interesting… bosses. Have you ever had a hard-to-deal-with boss? How did you handle it? EEEEEEEEEEEEEE!!!!!!!!!!!!! I'M SO EXCITED FOR YOU!!!! This is AMAZING!!! I KNOW A REAL-LIFE PUBLISHED AUTHOR!!! Like, seriously KNOW, like been-to-her-house, cried-on-her-shoulder KNOW a published author! 😀 AND IT'S *YOU*, KP! AAAAAAAAAHHHHHHHHHH!!!!!!! Okay. Serious Valerie now. Ummm… bad boss, yeah. The one that comes to mind is a certain HR manager (I worked in HR, so he was my boss.) that told me after my divorce (when I was appropriately devastated) that I should go see a psychiatrist because I had been sad and upset for too long. Uh, yeah. He was a jerk. BUT YOUR BOOK IS PUBLISHED!!!! YAY!!!!!!!!! Congratulations, Krista!!! That's so exciting!!! I've received notice from Amazon.com that my book has shipped! I should have it this week! I'm sooooo excited! Also, I requested for my county library to purchase it and last week when I checked, I was informed it was "on order"! Yeah! I don't get to go to the physical bookstores as often as I would like but when I do … I'll be looking for "Sandwich, with a Side of Romance". I'm so excited for you, Krista! Came back from vacation on Saturday and your book was in my mail box! Had too much laundry to do post vacation yesterday 🙂 but will be reading it ASAP! Amazon says mine's on the way, whoop! !